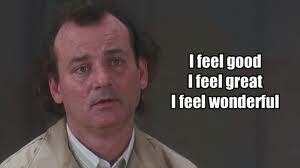 To reference the classic Bill Murray movie What About Bob? (1991), I have recently taken a vacation from my problems. I did not actually take a vacation, but I have done a whole lot of nothing recently every chance that I have gotten. I’ve continued to work and do the standard necessary chores, but I have basically done the bare minimum and just tried to relax and recharge my batteries. 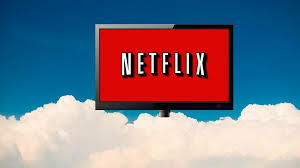 In the process of taking my mini “staycation” I have watched a number of movies and TV shows. I obviously have not written anything about them, but I plan to remedy that soon. Thank you all for your continued support. You have been a great motivator and have kept this fun for me. Hopefully I can give you something fun to read soon. 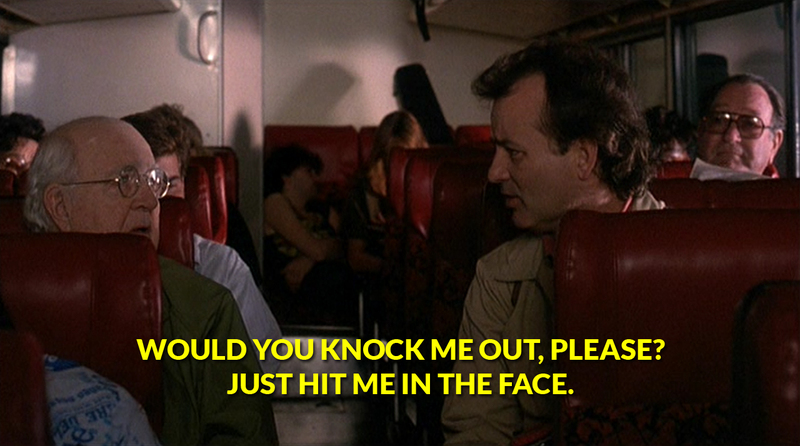 Tags: Bill Murray, Staycation, What About Bob? 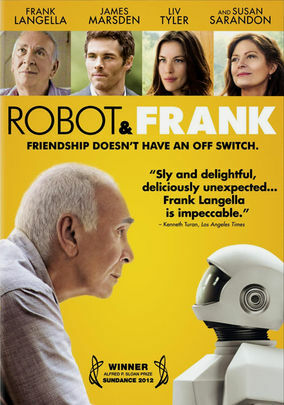 In the near future an aging retired thief (Frank Langella) receives a robot from his son (James Marsden) that can help assist him with cooking, cleaning, and chores around the house. The thief decides to come out of retirement when he realizes that the robot can assist him in other things like stealing. The casting of Marsden, Liv Tyler, and Susan Surandon are all pretty much after thoughts in Robot & Frank. The true stars of the show are in fact, the giant Lego man-like Robot and Frank Langella. The movie is witty and original. 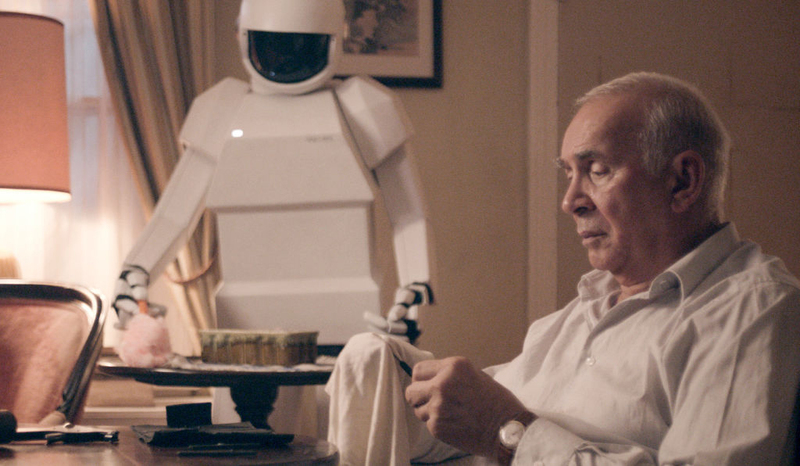 The interaction between Langella and the Robot (voiced by Peter Sarsgaard) is priceless. The advancement of robot technology that is depicted in the film makes me wish that I had a robot to help me with my everyday chores around the house. The robots that are in the movie seem so real that they make me believe that this could one day be a possibility. Obviously if robots were truly capable of what is seen in the movie, then everybody and their mother would own one by now. They would be flying off of shelves like bottled water after forecasted news of impending doom from an upcoming natural disaster. The fact that Robot & Frank takes place in the future is a contributing factor in why the viewer is able to suspend their disbelief that robots are not able to do what is seen on screen. We do not know what the future holds and therefore cannot question technological advances in robotic technology that is portrayed in the film. In fact, the movie itself plays on the excitement of guessing what robots of the future could be like. I hope that the improvements of technology in general that are shown in the film are one day possible. This would make the world a better and more fun place to live. Bravo to this truly unique film. It was a little slow at times, but amusing to watch. I had a blast! 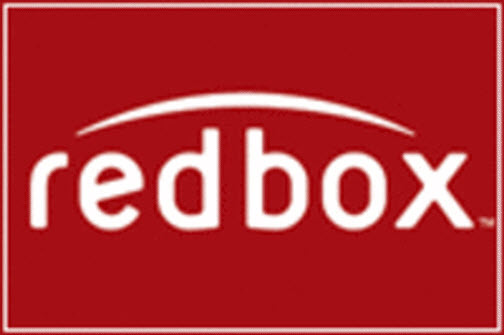 FREE REDBOX MOVIE RENTAL PROMO CODE INSIDE! 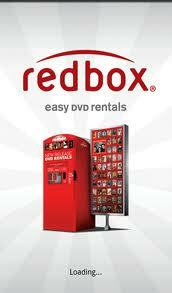 If you are a movie lover like I am, you will appreciate a free movie rental from Redbox. Redbox is giving away a free movie rental to everyone for Valentine’s Day. The promo code is good today thru the end of Valentine’s Day. I just thought I would pass along the free movie code to all of you movie lovers out there to help spread some movie cheer. If you need some help deciding what movie to rent at the Redbox, check out my Top 13 Current Redbox Movies. That post was up to date a couple of days ago, but I’m sure that most of those movie are still at the Redbox. 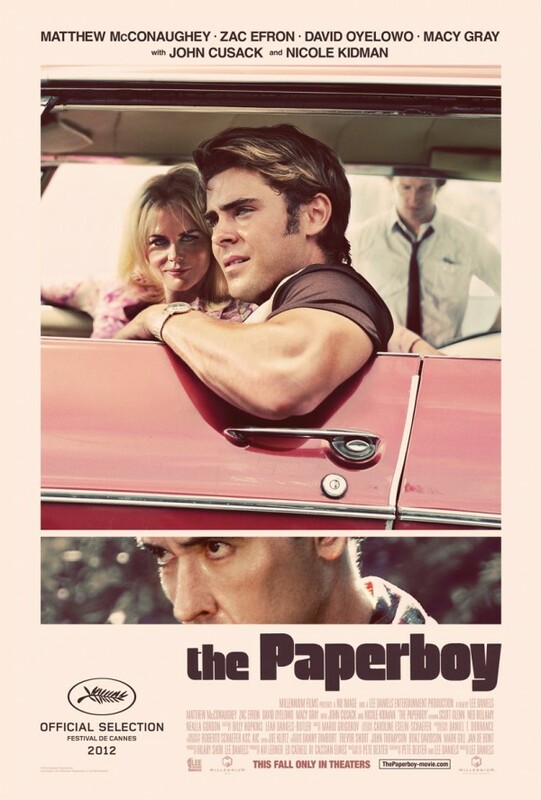 The Paperboy delivers a story riddled with nonsense, boredom, trashy characters, gratuitous vulgarity, and wasted talent. It was amazing the amount of scenes in the movie that were completely unnecessary. 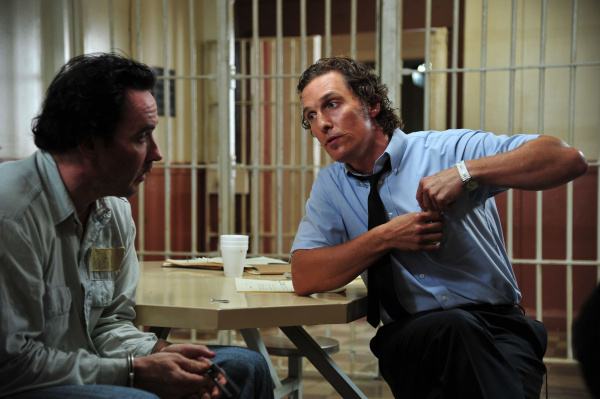 The film is about a newspaper reporter (Matthew McConaughey) who teams up with his brother (Zac Efron) and a work colleague (David Oyelowo) to investigate the case of a prisoner (John Cusack) who is on death row. Along the way, they get help from the prisoner’s pen pal girlfriend (Nicole Kidman). The movie takes it’s time setting the stage for what it is going to be about. Once you understand the goal that the characters are trying to accomplish, the story takes a left turn and does not come back to the main point until it is no longer relevant. In other words, the film is left without a purpose and you are left watching characters develop for a story that is hard to follow and no longer matters. Much of the movie is narrated by Macy Gray. Gray was an extremely poor choice for a narrator. She is definitely no Morgan Freeman. It seemed as if she had trouble reading her lines. She mumbled her words very slowly and at times, she was hard to understand. This took even more away from the film and made it harder to follow. Many times I was so bored with the movie that I wanted to turn it off. Other times I wanted to turn off the movie because of how unnecessarily vulgar and pointless it was becoming. I should have turned it off. I wish that I had turned it off, but I wanted to see if it would get any better, and I wanted to be able to tell my readers my honest opinion of the entire film. The Paperboy had a very capable cast. They are all mostly good actors, but with the material that they had to work with, they were all doomed. Nobody had a chance to give a standout performance because the writers had made sure of that with their dreadful dialogue and horrible storyline. Do not waste your time or money on this worthless excuse for a movie. I give this movie a 1 on a scale of 1-10. Buy, rent, or run? Run and hide! I think that this movie could easily have won the prize for worst movie of 2012. I was trying to figure out which movie was worse, this one or Killing Them Softly. The Paperboy takes the cake. Beware! Flight transports you into the depths of a dark and lonely place only to bring you back feeling better about it all. Alcoholism, drug addiction, loss, grief, sorrow, anger, and pain are all symptoms of this darkness. Is it a feel good movie? No, but you will probably feel better about it at the end. Not because it is over, but because of how it ended. 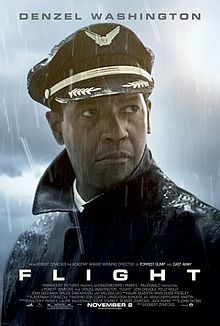 The film is about a hero pilot (Denzel Washington) who crash-lands a doomed plane like no other pilot could. The pilot has a drug and alcohol problem and is therefore under investigation to decide whether or not he was the root cause of the plane going down. Some parts of the film were hard to watch. It all got a little bit more intense than I had anticipated and that caught me by surprise. This was not a bad thing, but it is hard to enjoy watching appalling scenes in a movie and feel good about them. These scenes would not have been so hard to watch if they had not been depicted so well. That being said, the severe moments were very necessary to the rest of the movie and kudos to the cast and director for making them so powerful. 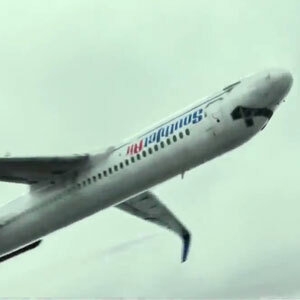 Robert Zemeckis did a wonderful job directing Flight. The flying sequences in the movie were remarkable, but the performances by the all-star cast were what really made the film. 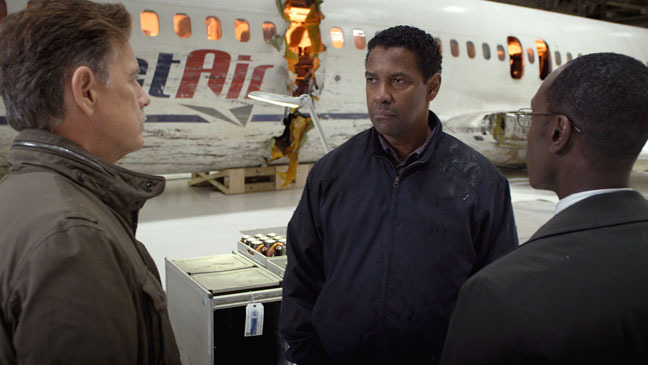 Denzel Washington supplied his best acting since American Gangster (2007) or Déjà vu (2006). The raw emotion and realism that he brought to his character is enough in itself for me to recommend that you watch this film. Don Cheadle and Bruce Greenwood were both at the top of their game. Although he played such a skuzzy character, John Goodman portrayed that character very well. Each actor and actress played so well off of the other that it seemed to bring their acting ability to its highest potential. Even though some parts of the film were very extreme, I think that it is absolutely worth the watch.